Often overlooked by the real estate community, the corporate housing industry has been serving business travelers and corporations for years. So what does corporate housing have to do with real estate agents? You’re a real estate agent that just found your clients their dream home, but closing is 45 days out and they need to be out of their current home in ten days! Your listing just went under contract with a quick closing and your sellers have to be out in 2 weeks with no place to go! The builder just called and your client’s new home won’t be ready for another month, but they have already scheduled their move! These situations arise every day in the real estate business. How you help your clients deal with them could set you apart from the pack. 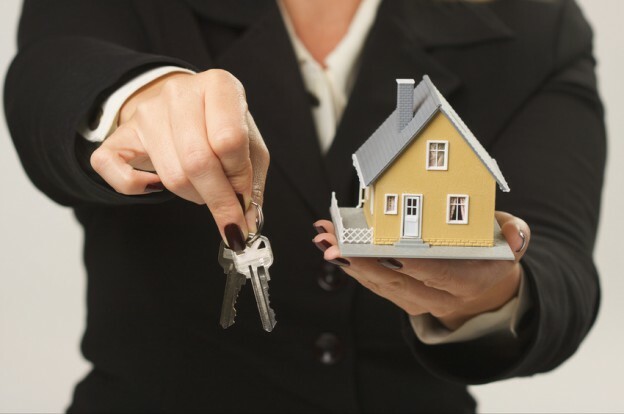 Your clients rely on you for their success in relocating from point A to point B, even if much of their experience has nothing to do with the real estate transaction itself. Going the extra mile to ease their transition will win you clients for life. With all the stresses involved with relocating, finding oneself in between homes with no place to go can be one of the most unsettling feelings your client will experience. Where will I forward my mail? How can we get the kids registered for school? Who is going to watch the dogs? These are just some of the many concerns your clients will experience when they get displaced with no place to go. How can you help them? Advise them to crash on a neighbors couch? With the kids and two dogs in tow, couch surfing will get old real quick. How about a hotel room? Sure, if they’re ok with living out of a 200 square foot hotel room at $150/night. Your clients deserve better, and you can be their hero. A comfortable alternative to a hotel room and almost always more affordable than hotels, corporate housing can be a life saver, even a deal saver. Often overlooked by the real estate community, the corporate housing industry has been serving business travelers and corporations for years. Originally a small niche industry created to serve the needs of corporations, “corporate” or “executive” housing has evolved into an industry that is now accessible to anyone that is need of interim housing. Displaced individuals and families alike can benefit from the same resources that corporations have utilized for years. In fact it’s a natural fit. Many of the demands of business travelers happen to be the same as homeowners that are displaced. Corporate housing providers offer amenities like flexible lease terms, kitchens stocked with cookware and house-wares, furnishings, private parking garages, washer/dryer, cable television, local phone service, high speed internet, established utility connections, housekeeping, and 24/7 concierge services to make transitions easy on clients. All of these amenities are provided within the comfort of a house, condo, or apartment and managed by the temporary housing provider all behind the scenes with no burden placed on the clients. The end result is a place where you clients can check-in with their suitcases, relax, get to work, and go about their lives with minimal disruption and hassle. A typical rental period for corporate housing is a 30-day minimum with month to month thereafter. Temporary rental housing must also follow local laws for rental property including proper rental licensing, zoning, and a minimum rental terms. For example, within the City of Boulder Colorado the minimum rental period is thirty days and all rental properties must be licensed through the City rental licensing program. A typical corporate apartment will also include features such as a fitness center, business center, swimming pools, spas, and on site property management team. In selecting a corporate housing provider it is important to choose a reputable provider that adheres to industry standards for corporate housing. A qualified provider of corporate housing will adhere to current industry standards for the quality of the rental property backed by a very high level of customer service. They should handle every detail for your clients from check-in to check-out, and be available 24/7 to address any emergencies that your clients may have. They should also act as an intermediary to meet with vendors, maintenance and repair workers, and utility companies so that you and your clients do not have to take time out of your day for these activities. Remember, corporate housing providers are in the service business- they are not just providing a rental, they are providing a turn-key solution where every detail of the clients stay is taken care of. This will give you the peace of mind knowing that all of your clients needs are being handled professionally. So the next time you have clients that are in between homes, save the day and call your local corporate housing provider for a welcome respite from hotel rooms and yes, even the neighbors couch! Housing Helpers is a leading corporate housing provider, providing furnished temporary to extended stay housing in Colorado, Nevada, and throughout the nation to companies, individuals, business travelers, vacation renters, and those in need of quality interim housing. This entry was posted in Corporate Housing and tagged corporate housing, corporate relocation on June 9, 2014 by John Iannone.